This summery coconut curry chicken salad with mango and honey mustard dressing is made with Growing Roots new organic coconut and seed bites, which packs tons of flavor and crunch into oven “fried” chicken tenders! You’ll love the easy homemade honey mustard dressing paired with the sweet-tart juicy mango, fresh greens and spicy chicken! This citrus arugula salad with fennel and marcona almonds is a simple, seasonal salad for winter, perfect as a side dish or for topping with grilled shrimp or roasted fish as a main. It's packed with Mediterranean flavors from crunchy marcona almonds, fennel and kalamata olives. You'll love the simple sherry vinaigrette! Try this easy idea for meal prep! Make this crunchy salad mix, packed with tons of different vegetables, and use it as a base to make these easy lunch salads that utilize leftovers and pantry ingredients. In this post, I provide three ideas for chicken tortilla salad, curried lentil and sweet potato, and harvest salmon salad. A salad you'll actually want to eat! Make this harvest salad with crispy cornmeal chicken, packed with tons of yummy seasonal produce, like watermelon radish and apples with pecans and an easy lemon-mustard dressing. Make this baby kale salad with cherries and grilled halloumi for a fresh summer salad! It's perfect topped with a vibrant cilantro-lime dressing. Charred corn, avocado and pepitas finish it off! Although sometimes it's hard to get my life together enough on a Sunday to whip up a big bowl of grain salad for lunch, I'm always so glad when I do. 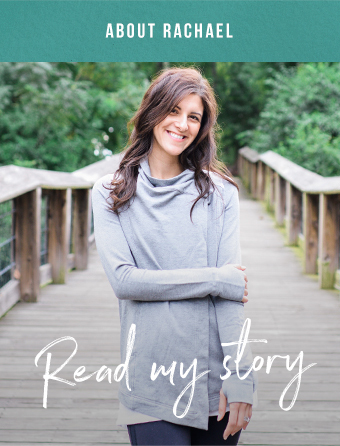 While I'm off traveling, I've got another guest post in line from Jess DeGore, who is a Philly-based dietitian at Dietitian Jess and has been a long time reader of my blog. I always appreciate her insightful comments and this delish looking recipe! Brace yourselves for one of the most dietitian-y things I've ever said...There's nothing like a good salad. Welp, I just got my first sunburn of the year, so I guess I better go ahead and share the winter squash recipes my queue, starting with this roasted kabocha squash salad with creamy garlic dressing. This nordic salad with smoked salmon and lemon-dill dressing was inspired by an upcoming trip to Iceland! Embrace the nordic diet trend with this salad that packs tons of common nordic ingredients and flavor into a fresh salad bowl - hard boiled egg, root vegetables, dill, peppery radish and a bright lemon-dill oil dressing. Have you ever tried a persimmon? Enjoy this unique fruit in this persimmon kale salad with pomegranate dressing! This avocado salad with carrot ginger dressing is sure to become a favorite simple side salad for weeknight meals! Packed with fall flavor, this curried quinoa salad with apples is a tasty vegetarian lunch! You'll love the curried yogurt dressing paired with crunchy sweet apples! Use up your Thanksgiving leftovers witht his turkey and cornbread panzanella with a herby buttermilk dressing, collards and pickled okra!